Lets roam around this beautiful world with me,a travel freak soul who wants to wander every nook and corner of this world with her unique distinction.Traverse road less traveled while rediscover old places with new charm.Traveling is a bliss. 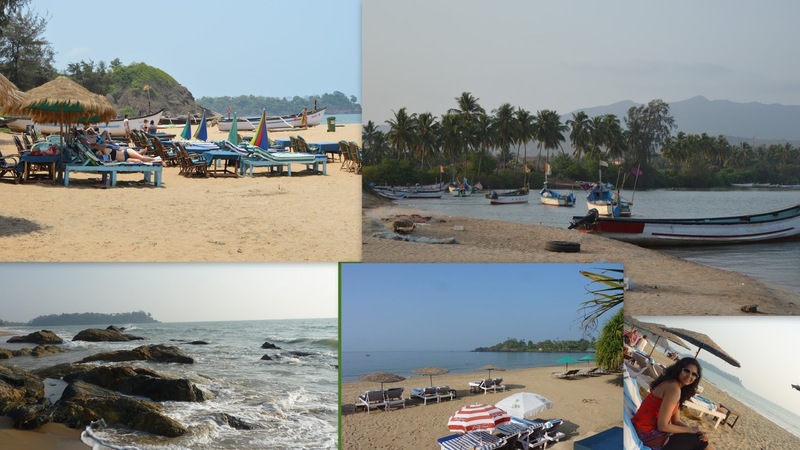 Longing for Goa - A collage of good times..
2)so many salient rivers greeting the sea - coconut grooves - cozy villages -colorful streets (of Panaji) - century old churches and Portuguese heritage. 3)& last but not the least ,the rhythm in the air. 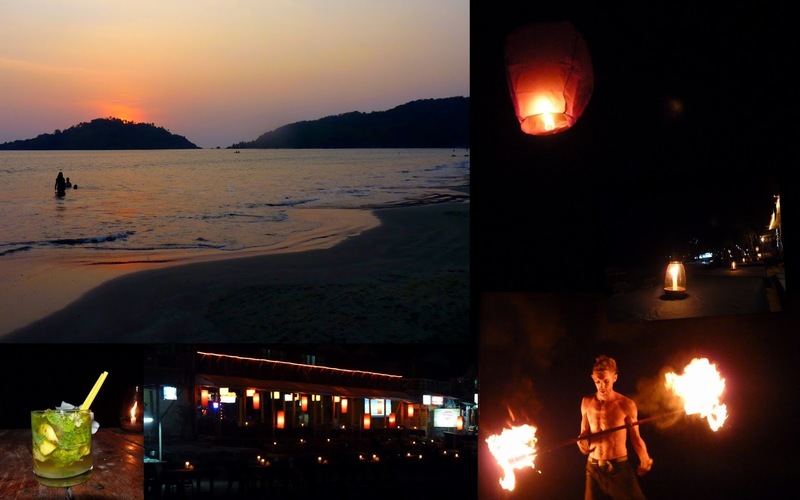 To love Goa you need to know where you have to put your feet to tap the vibe . My favorite is more serene south Goa precisely Palolem-Patnem combination minus crazy crowds.But north Goa is happening place with pubs,party,flea markets ,hippies. 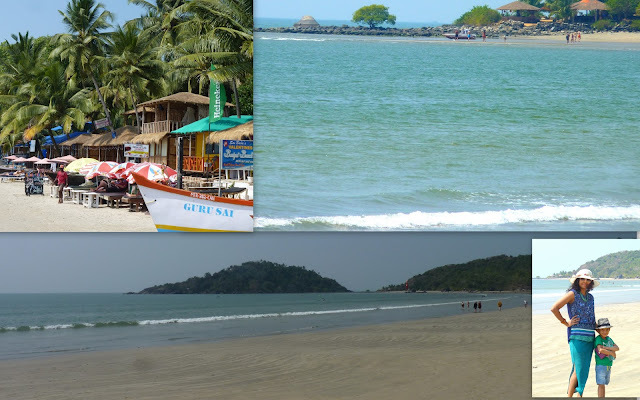 Palolem is spectacular semicircular sand beach of south Goa fringed with tightly packed shoulder to shoulder coconut grooves and offers a beautiful view of turquoise blue swim-able sea. A perfect place for relaxation and rejuvenation. The long stretches of beach is lined with temporarily built wooden cafes and beach huts which get dismantled every year after summer and again reopens from September. These cafes and coco huts offer a tempting new location for your every meal as well as cheap on the beach accommodation. An early morning boat ride from Palolem,gives a wonderful view of coastline . I was lucky enough to spot dancing-dolphins-duos in the middle of a blue sea. 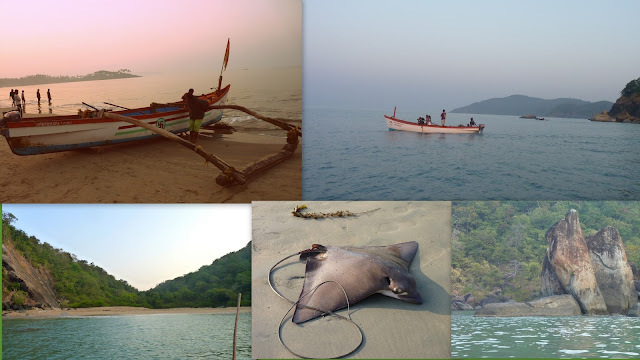 At the time of returning , we stopped at butterfly beach ,clicked some snap and noticed an amazing catch from a fisherman's net, a ray fish or Kite fish ,still alive. As the afternoon sun rose high on the sky , I sneaked to the Dropadi Inn at the main beach entrance of Palolem for my lunch. 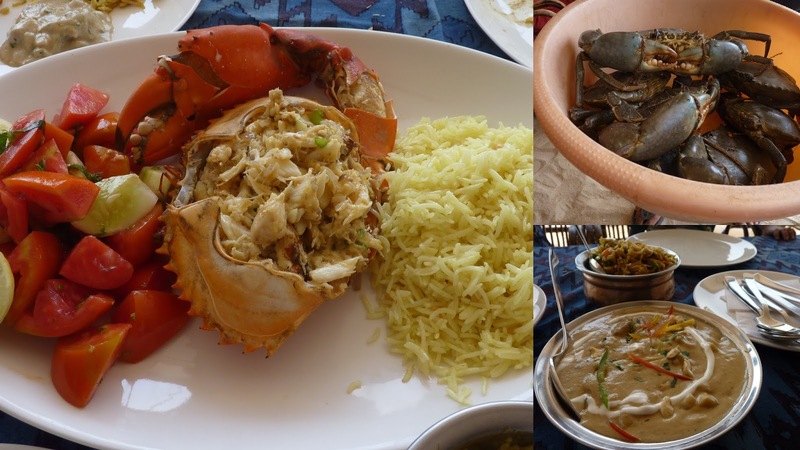 Everything from the watermelon juice ,stir fried scallops to 'butter garlic' sauted giant crabs( served with tangy rice ,lots of cucumber tomato salad )was excellent .Fresh sea food is specialty of Dropadi Inn. I enjoyed my street shopping all along Palolem beach access road ,vending clothes,sandals,antiques,spices,jewelry,bags,bikini,sarongs,and so many things .It was an eye catching colorful, cheerful procession. When sun said bye-bye to the sweltering-shiny day, rosy tint of twilight embraced candle lit beach warmly.Cafes and restaurants set up their tables on the beach with a candle. Sooner the sandy shores filled up with overwhelming presence of lively crowd from every corner of the globe.I took a sofa in cafe Del Mar overlooking the sea and enjoyed my perfect dinner with classic fish and chips.The lashing sound of waves, starry sky above,flickering candle ,cold night-air, happy chit chats,soothing music with a Fenni shot ,(a local liquor,distilled from natural products such as coconut milk or cashews )created an romantic (evening )ambiance. Memories of happy days keep coming in my mind as a flashback and again nothing is forever.I need to foot forward to my beach accommodation on Patnem beach. Palolem beach extends upto Rajbag and in between Patnem beach sits snugly. Patnem is a picture of peace and laid back Patnem is ideal for soaking up your Vitamin D. Patnem beach dotted with exclusive beach villas designed to pamper your senses ( Cuba Patnem where I stayed ) and quite a good number of restaurants ( April20 which I liked most) on the beach. Perennially popular April20 n the beach with a bar has it all from tasty Indian to Chinese specialties with lavish range of global cuisine. I enjoyed my musical night at 'Micky's Naughty Corner' (on the beach pub,run by a small family) on Patnem beach with jazz, country, pop sang by the tourist-turned singers flocked from Finland to England.I savored my few days of revitalization in Goa from morning to midnight . Life is all about having good-times and forgetting bad-times. Cheers! @Copyright [Sangita Mukherjee] All Rights Reserved . Picture Window theme. Powered by Blogger.